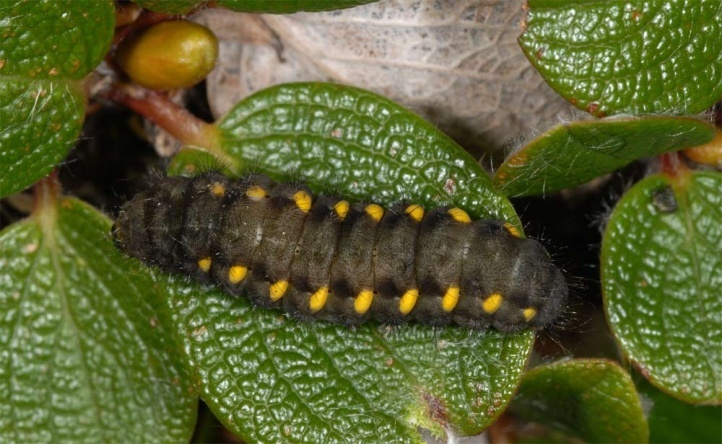 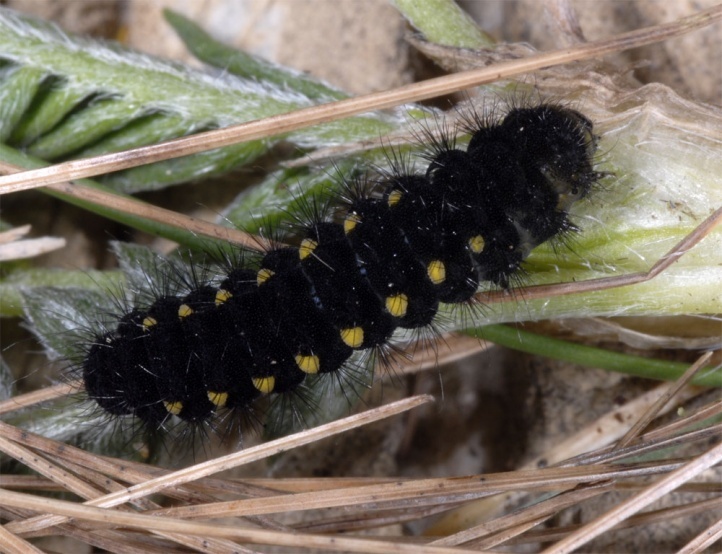 The caterpillar feeds on a lot of alpine plants. 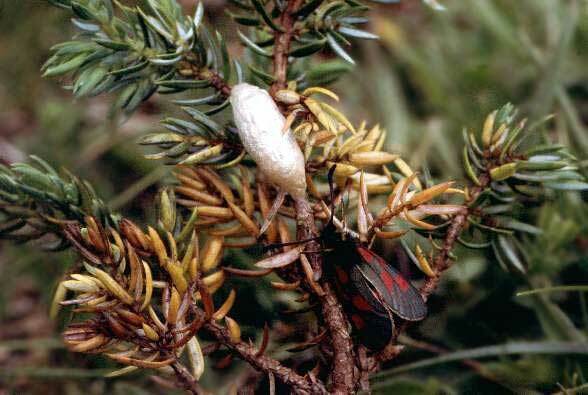 Most often it is found on Fabaceae (Lotus alpinus), Cistaceae (Helianthemum) and on Salix sp. 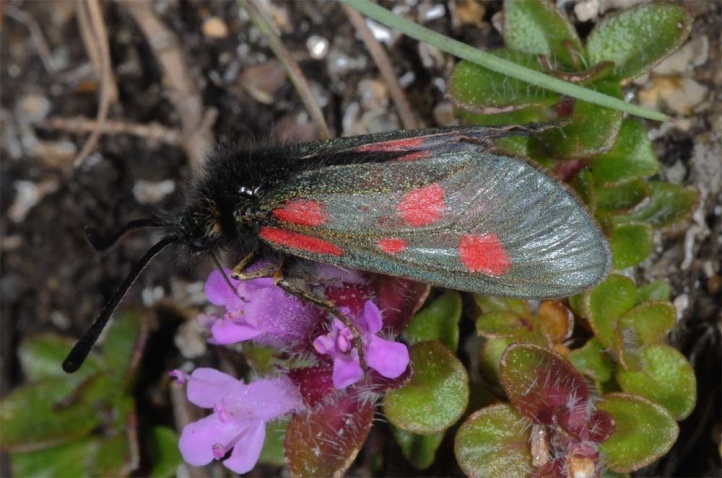 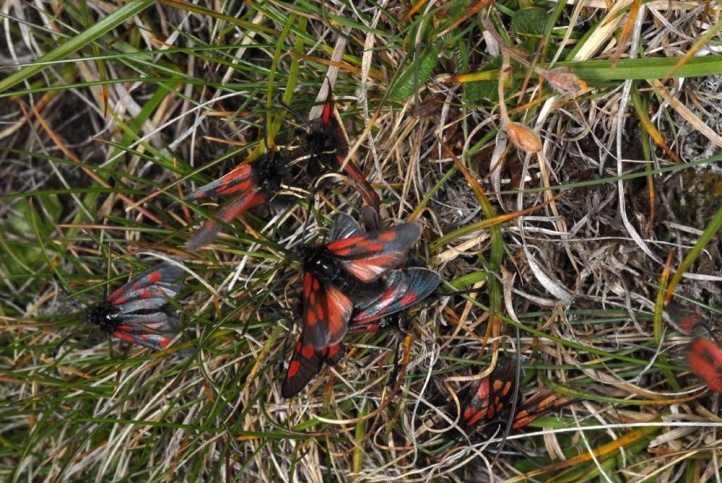 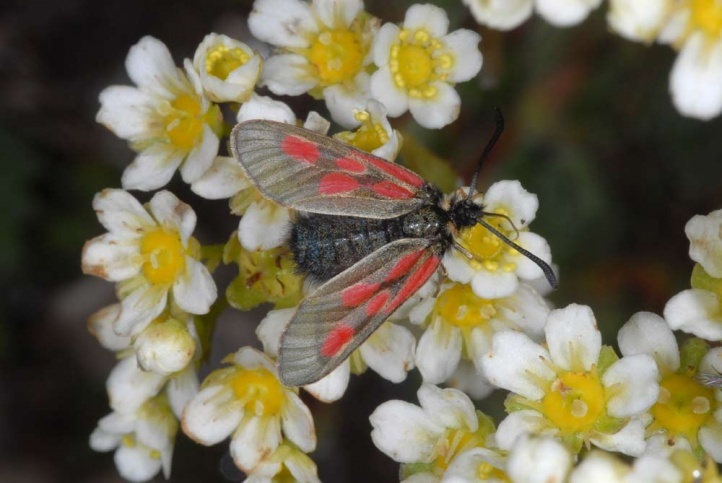 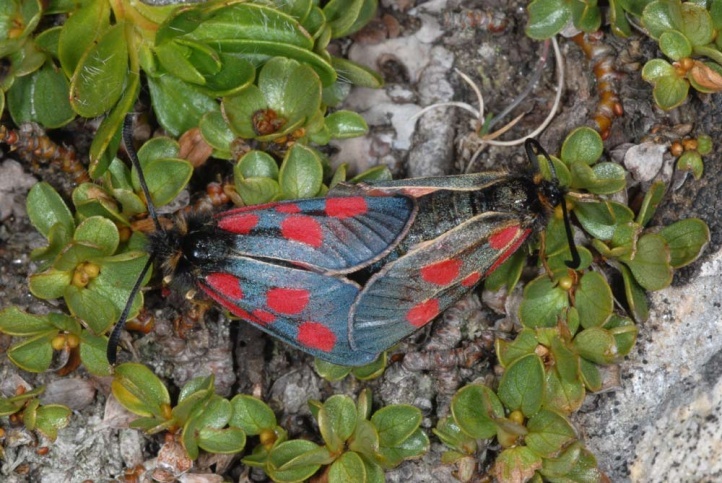 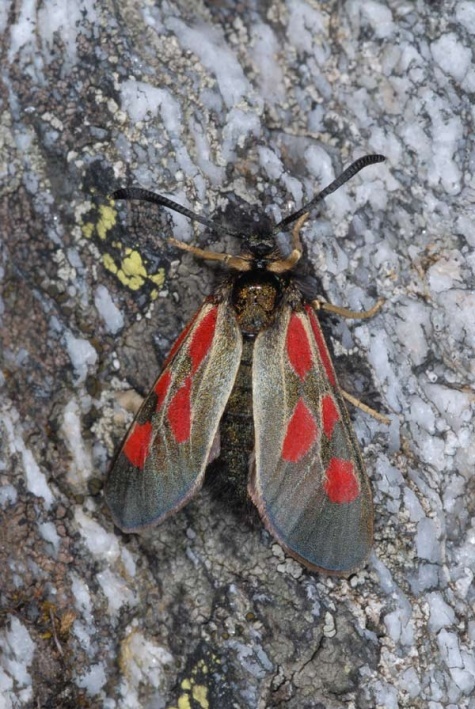 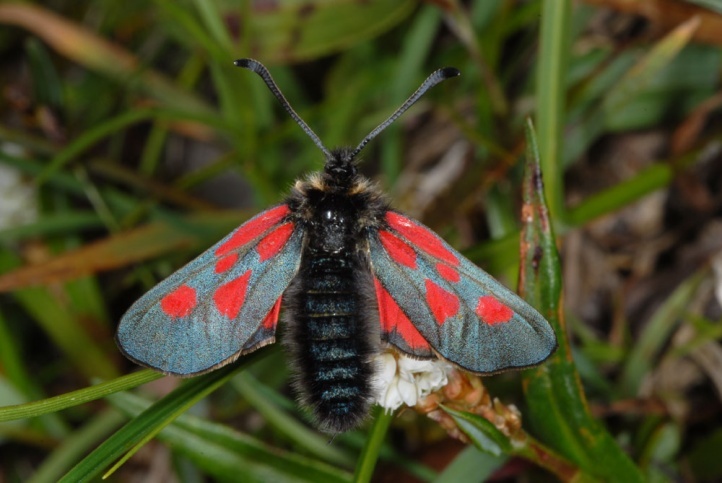 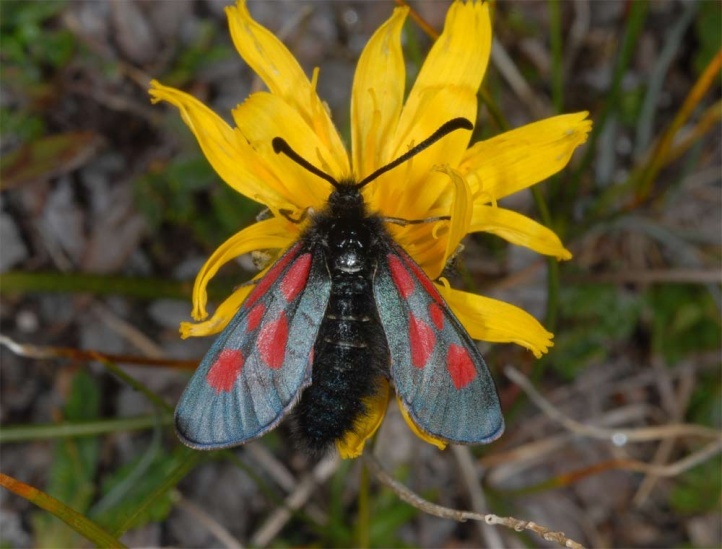 Zygaena exulans colonizes alpine meadows and pastures above approximately 1700-1800m above sea level, but is largely absent in the German Alps. 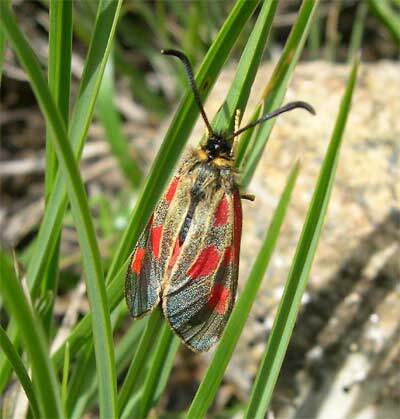 Zygaena exulans is often observed on stony and rocky slopes and broader stream embankments. 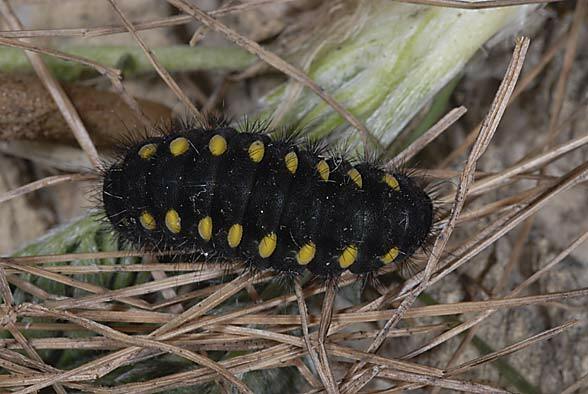 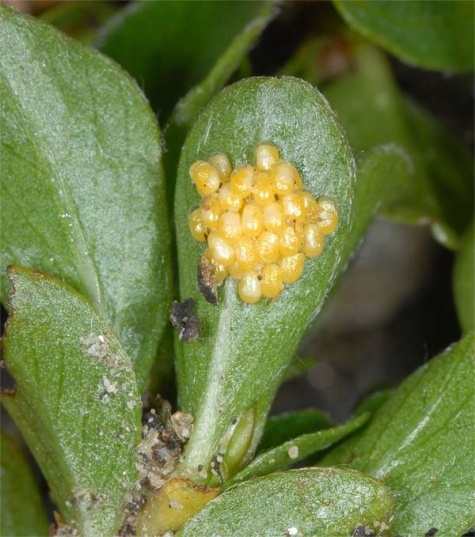 In general the larvae require several winters prior to maturity. 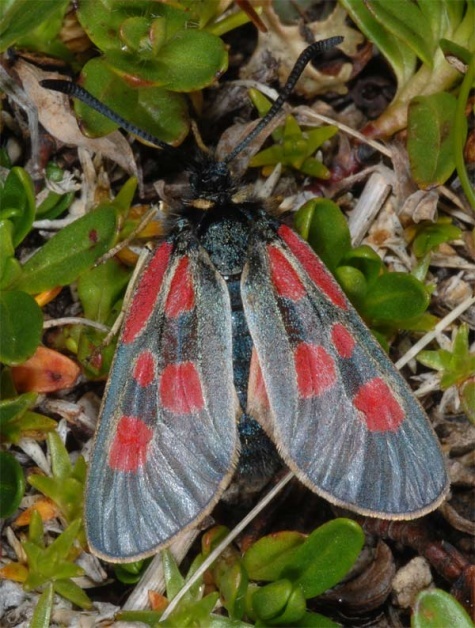 Zygaena exulans is often more common only in odd-numbered years (depending on locality and region). 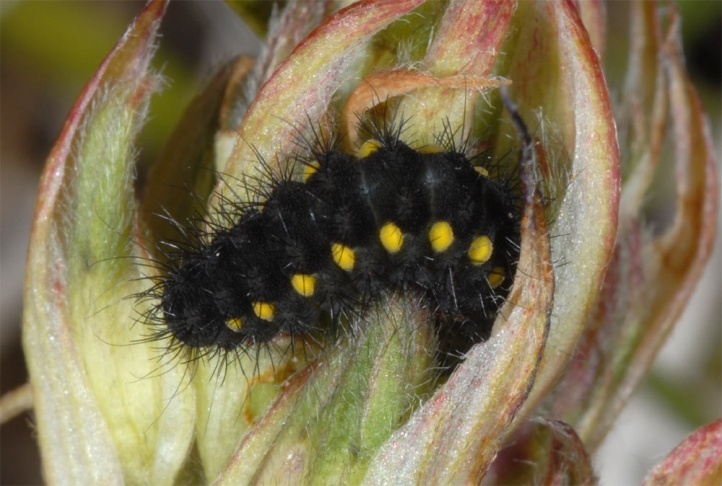 The flight time is in July and August and caterpillars are continuously found from the snowmelt in the first free places until autumn. 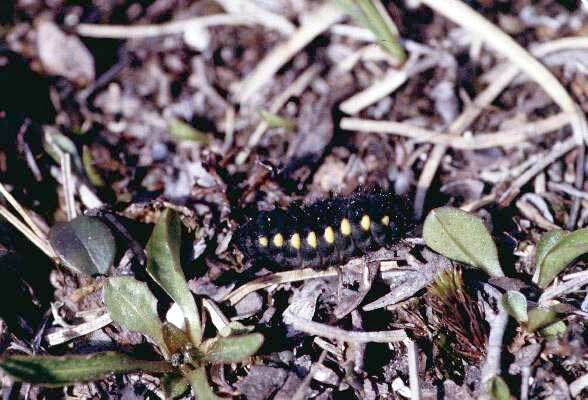 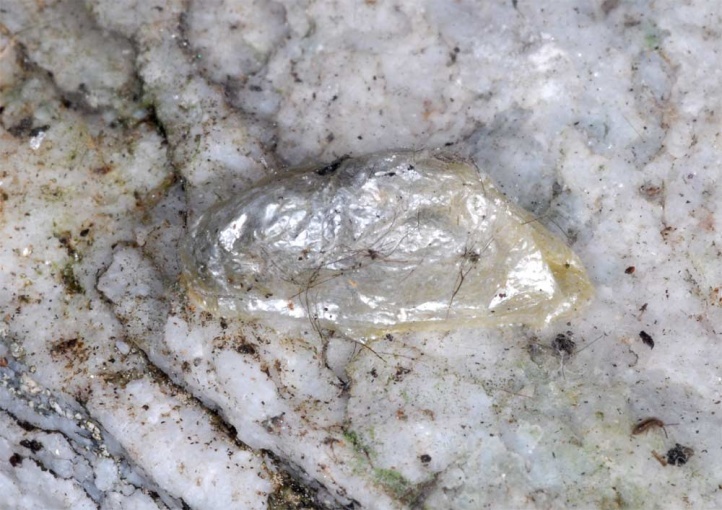 They overwinter under stones and in rock crevices, but also in the moss layer. 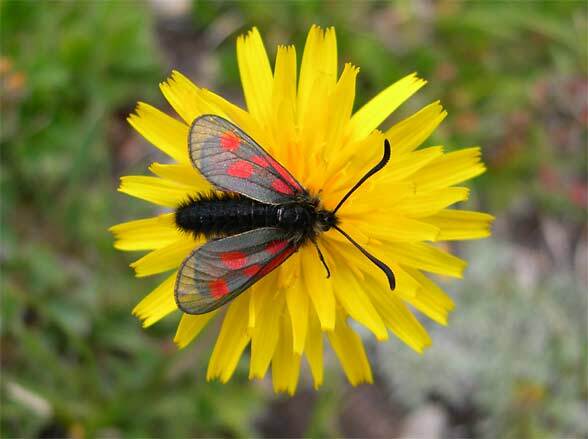 Locally this species is threatened by tourist facilities like ski runs. 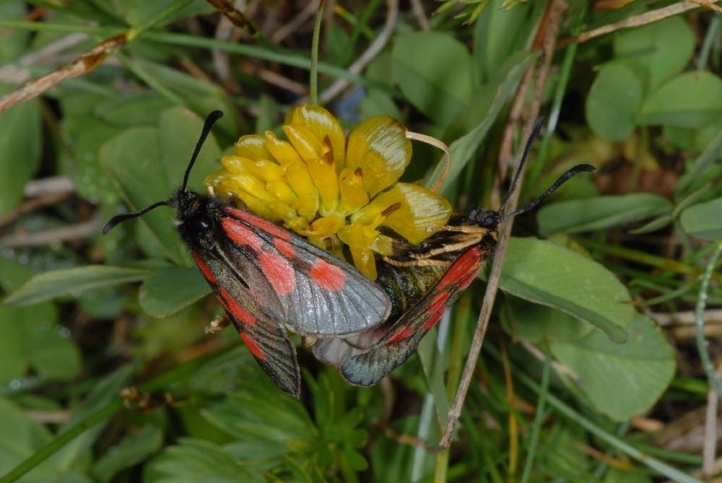 But it is quite common especially in the Central and Southern Alps. 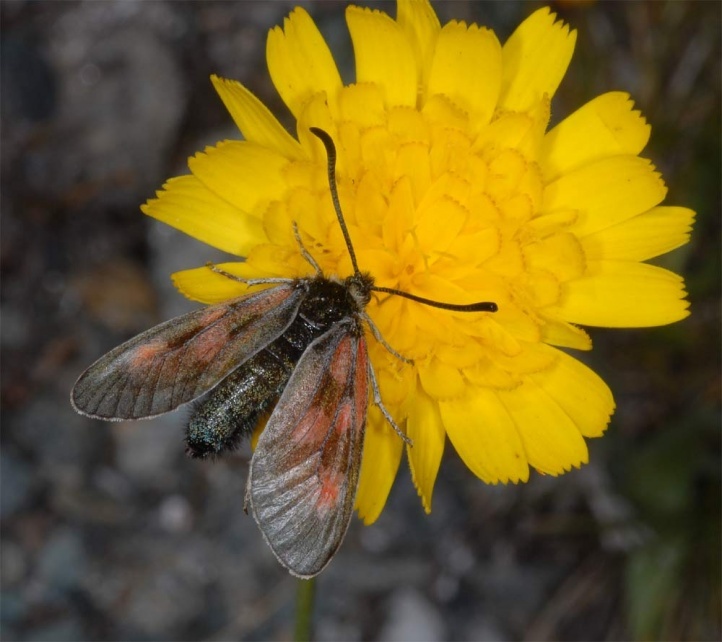 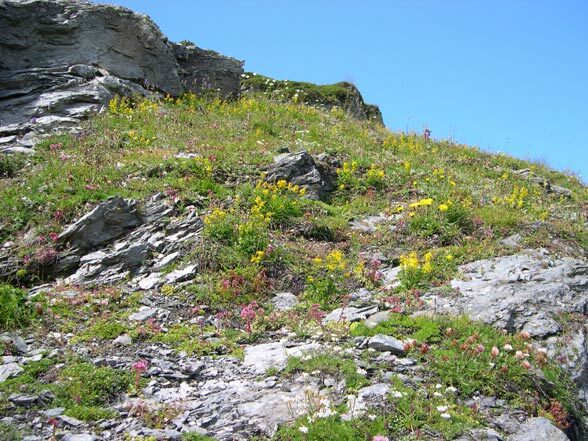 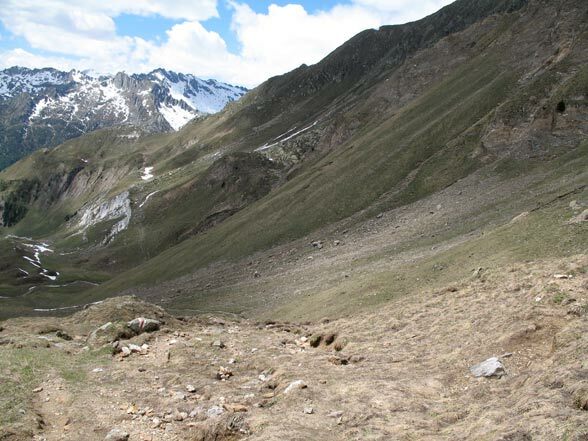 In 2004, almost all Helianthemum pads have been strongly infested with caterpillars (up to 50 individuals on a square meter) on the Swiss Täschalpe (Valais) from 2200 to 2500m above sea level. 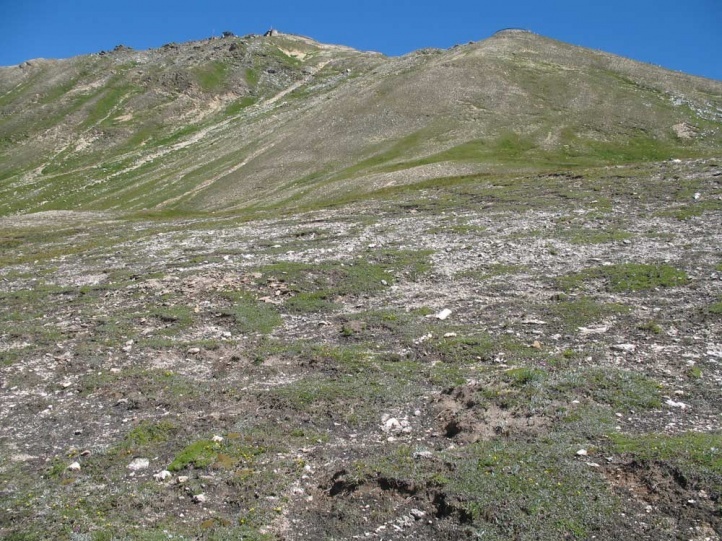 Some of the low Salix bushes near the stream were even stripped bare. 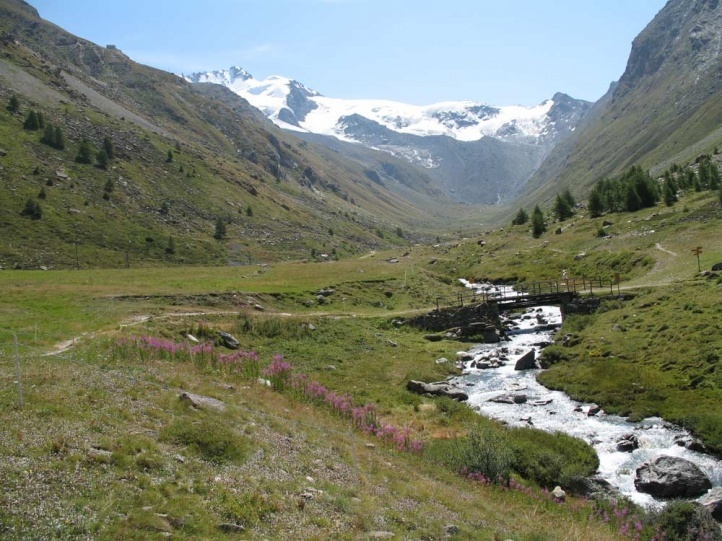 The total distribution is restricted to the mountains (Pyrenees, Alps, Apennines, Carpathians, Scotland, southern Serbia, some Asian mountains) and the far north (Scandinavia).